1. I recently did the e-book layout for Dave Luckett‘s Legacy of Scars, which is Book 2 in his ‘The Dragon War’ series. As you might guess from the series title, the book is epic fantasy, and a very good example of the genre too. I haven’t yet read Book 1 (Heritage of Fire), but based on the second instalment, the series looks like a lot of fun. Dave writes with humour, warmth, and wisdom. It took me longer than it should have to finish the e-book, because I kept stopping to read the story. If you want to check out Legacy of Scars (and I thoroughly recommend it), here’s its Kindle Store page. Ripley Patton (whose YA debut Ghost Hand has been getting a lot of positive attention) is putting the finishing touches to Ghost Hand‘s sequel, titled Ghost Hold. 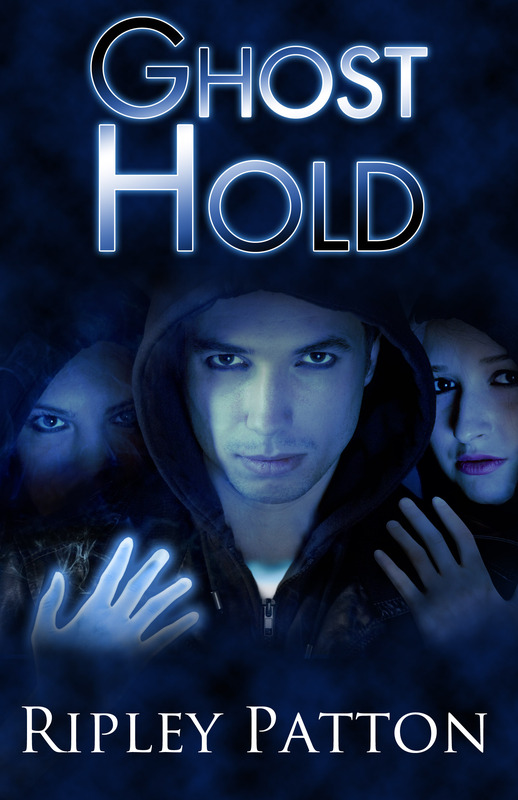 And to celebrate the first novel’s recent hundredth Amazon review, she’s holding a Goodreads giveaway which offers a chance, to those who enter, to win one of five ARCs of the new book, Ghost Hold. If you want to be in it to win it (and if you’re into YA, I can heartily endorse the first book), the giveaway page is here. 4. 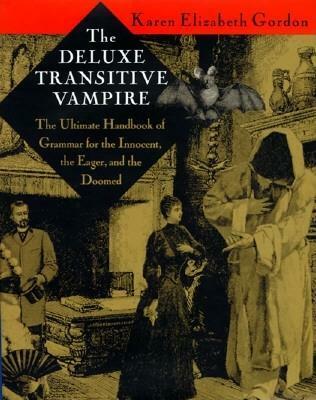 Finally, not directly Amazon-related, although Book Depository is now a subsidiary … I received my copy, today, of Karen Elizabeth Gordon’s The Deluxe Transitive Vampire: The Ultimate Handbook of Grammar for the Innocent, the Eager, and the Doomed. It is–and I kid you not–a thoroughly wonderful book to dip into, replete with outlandish, singular, and memorable examples of grammatical concepts, exquisitely word-pictured with recourse to samovars, assassins, gargoyles, dirty rats, and lederhosen-eating goats. If you’re labouring under the misapprehension that grammar is a thing both dry and dusty, this book proves that it is anything but. If all nonfiction were this wonderfully constructed, no-one would ever bother reading fiction. … uh, that probably should read ‘Signal Boost’. (1) For those of you who are of a writerly persuasion and who can claim any kind of connection to the Gold Coast (that’s the bit of Australian geography, not the Kim Stanley Robinson novel), even if, like yours truly, it’s merely that you’ve once visited it, there is now a Gold Coast-themed anthology in the works, to be edited by two of the fabulously talented authors from Next: Helen Stubbs and CSFG’s own Elizabeth Fitzgerald. You can read about the Gold Coast antho, and learn what they’re looking for in submissions, here. (2) ASIM‘s tenth anniversary edition, issue 56, has been out in e-book format for awhile now, from the ASIM website as well as from Wizard’s Tower, but it’s currently also available from Amazon’s Kindle store. (3) The upcoming second book in Ripley Patton‘s YA series ‘The PSS Chronicles’–viz. ‘Ghost Hold‘, the sequel to last year’s ‘Ghost Hand‘, now has cover art and a first chapter that you can feast your eyes upon. And Ghost Hold, the sequel to Ripley Patton‘s all-kinds-of-awesome debut YA novel Ghost Hand, is currently the subject of a kickstarter campaign, as Ripley seeks to raise the necessaries to publish it. The campaign is closing on the halfway mark, in terms of both time and funding. Ripley has offered a variety of appetising rewards, such as signed copies, e-books, postcards etc., for those willing to act as Ghost Hold benefactors. And I must confess a vested interest in seeing the campaign reach its goal (aside from the facts that Ghost Hand was a really cool book, and that Ripley is a very talented writer who deserves to have her stories told)–I’ll be helping to bring the book into existence, by doing the layout on the manuscript. So it’s a double-header, in a sense: not only will your generosity help in producing a terrific sequel to a brilliant debut, it’ll also save me from the unenviable task of twiddling my thumbs at some point over the next few months. For one of them I did the e-book formatting. One of them I proofread. Both of them deserve your attention. 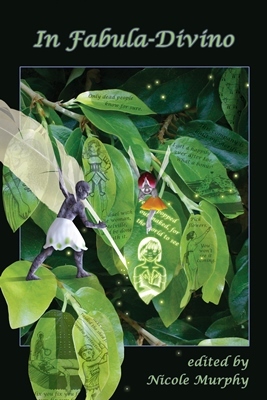 The results of this mentoring are now available for all to see, in an anthology named In Fabula-divino, edited by Nicole and containing the eight stories put through the Murphy spec-fic boot camp. The featured stories, refreshing and various, are by first-time authors are Lily Ariser, A E Decker, Janett L Grady, Holly Kench, P J Keunig, S G Larner, Tony Owens, and J W Patterson. Oh, and there are also stories by decided non-neophytes Kevin J Anderson & Rebecca Moestra, Trudi Canavan, Angela Slatter, and Kaaron Warren. The cover is by the multitalented Shauna O’Meara, the proofreading was by mumble mumble*, and the book is currently available in all manner of e-versions at Smashwords, for just $USD2.99. Friend and fellow former citizen of Christchurch Ripley Patton, who contributed the wonderful ‘Mary Had a Unicorn’ to the Light Touch Paper, Stand Clear anthology (which has so recently ceased to be free to download from Amazon)–and whose debut novel Ghost Hand, also available on Amazon, is also well worth acquiring–has an e-story newly up for sale. Ripley’s ‘Over the Rim‘ explores a teen’s bereavement, the mysterious depths of a Hawaiian crater, and a dog who can’t or won’t read warning signs. It’s a taut and tense YA novella that first saw light in issue 42 of Andromeda Spaceways Inflight Magazine, edited by Edwina Harvey. 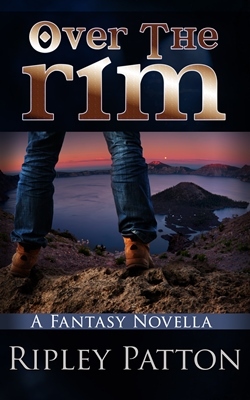 I did the e-booking for it, the story features an exquisite cover design by Kyra Carpenter (actually, this is its second cover, in a way: the cover of ASIM 42 depicted a scene from the story, and earned artist Lewis Morley a well-designed Ditmar award), and it’s yours to download from Amazon for just $USD0.99. A meme, it would seem. 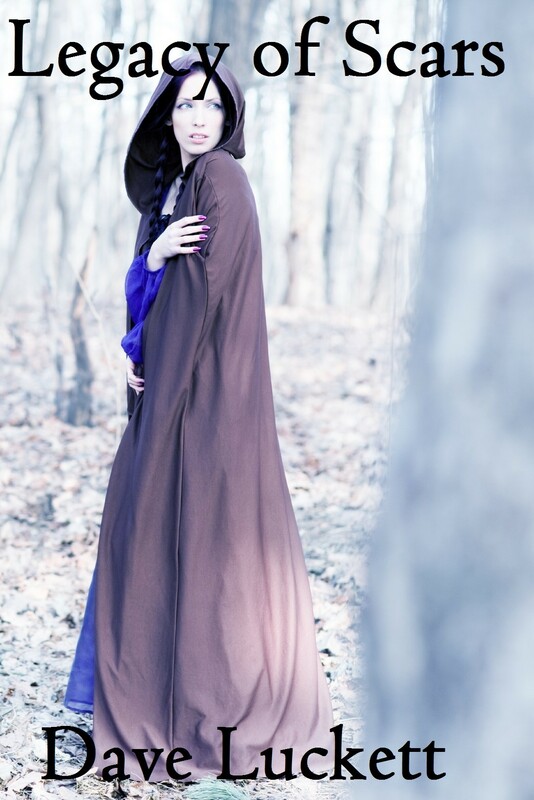 Nicole Murphy (who sometimes writes under the none-too-opaque nom de plume of Nicole R Murphy, and has also been known to go by the moniker of Elizabeth Dunk) is a fantasy/romance novelist, editor, and specfic convention organiser. Her Harper Voyager fantasy trilogy Dream of Asarlai (‘Secret Ones‘, ‘Power Unbound‘, and ‘Rogue Gadda‘) is a fast-paced, highly-charged tour de force brimming with magic and romance. Nicole tagged me to help keep the ‘Next Big Thing’ meme afloat. It’s taken a month and a half to find the time—sorry, Nicole—but here goes. The meme is supposed to be about an upcoming work, but seeing as Nicole has already established the precedent for talking-up something that’s already out there … I’m just going to go with that, too. The book I’ll talk about has only been out a couple of months, so it’s nearly new, at least. I was home with my teenage daughter one day, and out of the blue she announced, “They’re dead. They’re all dead.” It transpired she was commenting on a vase of flowers on top of the TV cabinet, but in the few seconds before I realised that, the wheels in my head had begun to turn. From that, I had the germ of an idea: of something nasty, and a spaceship. Um. Science fiction and mystery, with a bit of transgender fiction blended in. 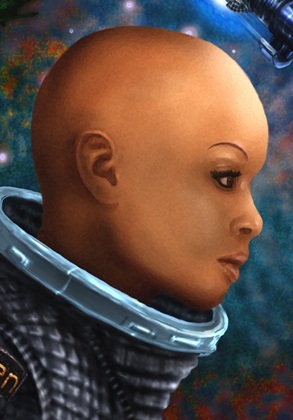 The SF component is mostly ‘hard’, but there are some elements of space opera there too. This is one of those ‘you tell me’ questions—I have a really hard time picturing my characters. Below is a detail from the wonderful illustration Lewis Morley provided for the front cover: this is my protagonist, Charmain Mertz. … though I hasten to say that K@rine wouldn’t be caught dead (or rather, deactivated) looking like that. There are several other characters in the story—notably, some figures from Charmain’s past—but it’s largely a three-hander between Charmain, K@rine, and the here-unnamed villain. As long as those three were cast right, I’d be happy. The search for a missing spacecraft, and the desire to solve her sister’s disappearance, brings pilot Charmain Mertz back to the world of her boyhood. Off and on? 14 months. I’m not one of these writers who can manage a thousand words or more, day after day after day. And SF murder mysteries are by their nature quite demanding, quite exacting: even after I had the bones of the story well-and-truly fleshed out, there was another eight or nine months of exploratory surgery, amputation, and tissue grafting before the patient could be pronounced viable. I have to acknowledge the influence of Asimov’s ‘The Caves of Steel’ and ‘The Naked Sun’. And a nod or two towards Larry Niven’s ‘organlegger’ SF mysteries would also be appropriate, although Charmain is no Gil Hamilton. I’m not for a moment claiming that I meet the standards of Asimov and Niven in their respective heydays, but the aspiration is there. And (with the same obvious disclaimer) then there’s Alastair Reynolds’ ‘The Prefect’. There are bound to be other genre books I’m missing here. Even though the intersection of hard(ish) SF and murder mystery isn’t particularly heavily built up, I just know there have to be other titles there—but I haven’t encountered them. And the writing in Flight 404 is a bit more twisted than Asimov, Niven, or Reynolds, I think. Once I had the crime, and its coverup, I had to get it in words. It took much longer than I’d anticipated, and the story turned out rather differently, not least because, as Charmain took form, she uncovered some stuff that surprised me. It revolves around a crime, an utterly monstrous crime, hidden in plain sight. A transgender protagonist, sympathetically portrayed (at least, I hope so). A high-speed chase across great distance, with a final destination not apparent until late in the piece. I’ve aimed for a character-driven, deep-space SF murder mystery. If that sounds like your cup of tea, please give it a look. It’s currently available for instant-gratification download as an e-book through Peggy Bright Books and Wizard’s Tower Books (where it’s easiest to find listed under ‘Mystery’). Or, if you’re willing to wait out the postage, you can also get a print copy through Peggy Bright Books. Over to you, Ian and Ripley!